Anthony Jephcott, Telstra Business Centre Coffs Harbour with the Winners Nanette Backhouse and Leanne Taylor of MatchMyRide and Brendan Yell of Softlayer. After months of development, honing their ideas at workshops and consulting with mentors, the finalists in the Telstra Business Centre Coffs Harbour Digital Innovation Challenge pitched their business proposals on Saturday 18 June 2016. Now in its second year the Telstra Business Centre Coffs Harbour Digital Innovation Challenge saw women dominate the podium with Jodie Curtis and Vrindy Benson taking out the highly commended award for their COLLAB. The App which connects entrepreneurs and creatives around the world to enable them to grow their business or their portfolio. “With the tech development team already based at the Coffs Harbour Innovation Centre, the MatchMyRide platform is live and we have dealers locked in. Thanks to this amazing prize package we will now be able to expand our market reach and grow the business,” said Leanne Taylor from Match My Ride. 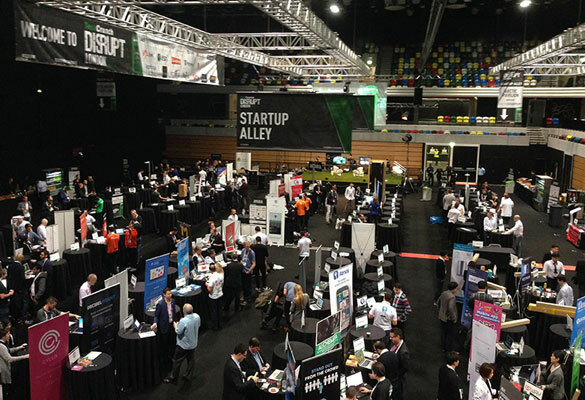 Startup Alley was a new highlight of the day, with 12 new businesses showcasing their ideas to over 80 attendees. The diverse range of businesses included Martin & Fortuin with their financial literacy programs, the young guns of Your Tech Mate providing affordable in-home IT helpdesk services, through to Vertipot with a unique vertical growing system ideal for small space gardening and horticulture. “The overriding theme from all our speakers was that we can deliver global businesses from the regions. Coffs is set to boom through innovation. We have the connectivity, we have the creativity and now we have the entrepreneurial community primed and ready to take-off,” said Stephen Saunders, Section Leader, Industry and Destination Development. 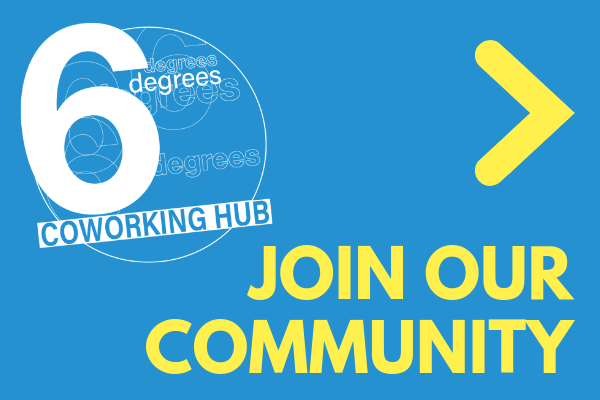 Digital Innovation Challenge and Startup Alley participants have all been part of the supportive business development environment provided by 6 Degrees Coworking Hub. 6 Degrees offers people with ideas at all stages of development the opportunity to Pitch their Passion on a monthly basis to a panel of experts, develop their business and use the space for motivation and networking with like- minded entrepreneurs and freelancers. FAILING FAST – Speed up the process of getting your product / market fit right. This workshop will demonstrate the use a of lean startup process for you to put your digital business innovation through so that you can be more confident that what you are creating is actually delivering value or providing a solution to a real customer need. TEST ASSUMPTIONS – Even if you aren’t a tech head, this will give you practical tools to get out there and testing your business model assumptions. Part of the benefit of getting you business idea out from under the desk and into the light is to start shining the light on it and finding the gaps in the logic before you have invested too much in your solution. As they say “marry the problem not the solution” (they being Dan Greenburg of Sharethrough). And you may also meet someone with the coding skills to make it happen. BE A FINALIST – whilst it is no guarantee, we only have to look back to last year and see that just about all those who made it to the live pitch final were participants in our workshops. And don’t take my word for it, word from the street – “Aaron Birkby is awesome” says Brendan Yell from Softlayer (some of you will have met Brendan at our Salon last year) and as the Cataylst Startup Manager for Softlayer he should know what he is talking about!